Luxury kitchen with wine refrigerator and cooking stove with retractable hood, custom-made built-in furniture with LED backlighting, quality beds with electrically adjustable bed bases, 2 flat screen TV's with Internet / Skype and a large, covered balcony (40m²) with direct views of harbor, Elbe and Elbphilharmonie. Here you will find every conceivable extras that make this apartment incomparable. Shower & toilet are separate, a modern leather sofa can be converted easily as a high quality double bed and can accommodate 2 more people. Furthermore, you have a personal low garage parking space, directly in the house, available. Reviews are in this luxury apartment because compliance with the privacy of our guests, unfortunately, hardly ever. We really liked staying at the Marco Polo-the apartment was great-clean, roomy, nicely furnished. The area was interesting and had lots of restaurants and shops. There is a good grocery store nearby. Also a U Bahn stop is about 200 meters so access to all of Hamburg is very handy. We highly recommend this property!!! Einzigartige Lage. Viele Sehenswürdigkeiten fussläufig erreichbar. Bus und U-Bahn quasi vor der Haustür. Sehr schön eingerichtete und gut ausgestattete Wohnung. Sehr sauber. Viele Restaurants und Cafes in der näheren Umgebung. Einziger Nachteil phasenweise Baulärm in der direkten Nahbarschaft. Da die Wohnung im ersten Stock liegt und nach NordNordwest ausgerichtet ist, liegt sie im weniger verlockenden Teil des Towers was Lichteinfall und Aussicht betrifft. Wen das nicht stört, der kann allerdings die tolle Ausstattung, super Lage und unverbauten Blick auf die Elphi genießen. 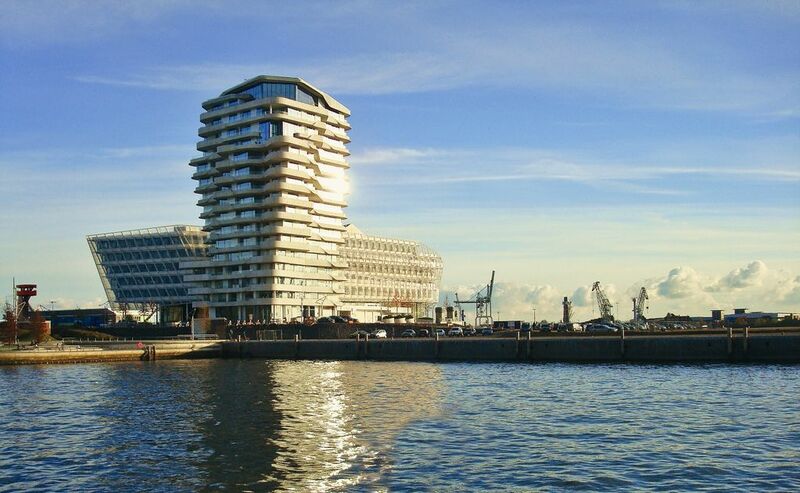 Here you reside in the only guest apartment of the famous Marco Polo Tower's, one of the most expensive addresses in Hamburg on Strandkai midst HafenCity: Big pots, traditional sailing vessels and speedboats pull right past outside your window - and yet you live in downtown Hamburg, just 800 meters from the town hall. The Jungfernstieg, goose market, the port and the jetties you can walk comfortably. Best connections to the U3 and U4 HafenCity Baumwall exist. A bike rental station is located right outside the door. Bettwäsche, Hand- und Badetücher werden wöchentlich getauscht, und die Wohnung durch Fachpersonal gereinigt. Anreise ab 16.00 Uhr nur Samstags oder nach Absprache Abreise bis 10.00 Uhr Höhe der Kaution 1000,00€/Woche oder nach Absprache. Die Vorsteuer kann geltend gemacht werden, Bei Privatbuchungen wird von der Stadt Hamburg eine Tourismustaxe von 2,00€/Tag/ Person erhoben.